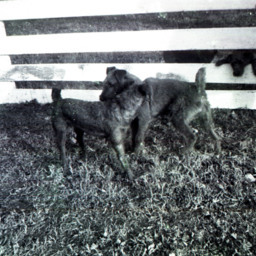 Photograph showing two dogs beside a fence at an unidentified location. 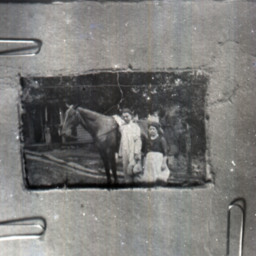 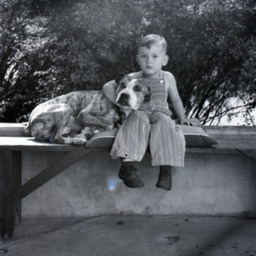 Photograph showing an unidentified child with a dog. 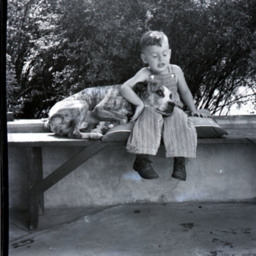 Photograph showing a dog sitting on a porch at an unknown location. 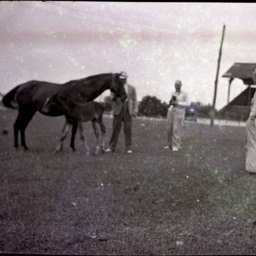 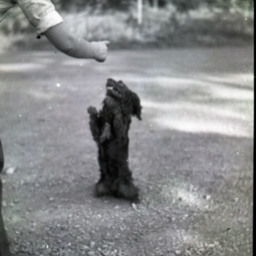 Photograph showing a dog doing a trick for an unidentified person. 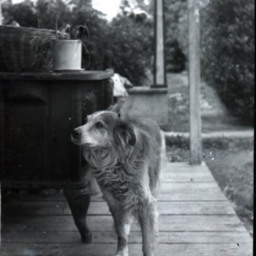 Photograph showing a dog standing on a porch at an unknown location. 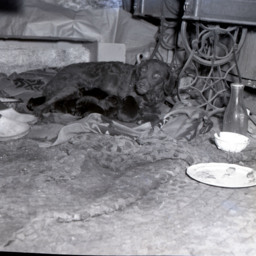 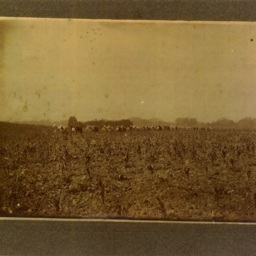 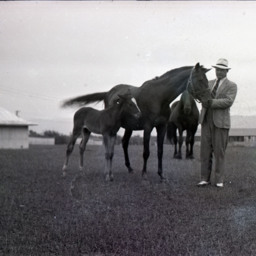 Photograph showing a dog with pups at an unidentified location. 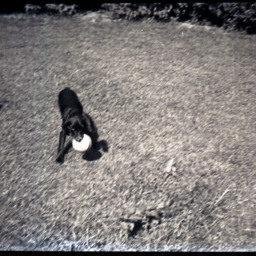 Photograph showing an unidentified dog playing with a frisbee. 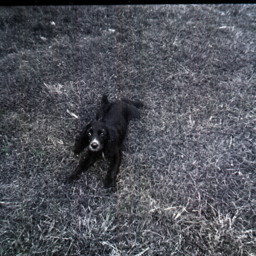 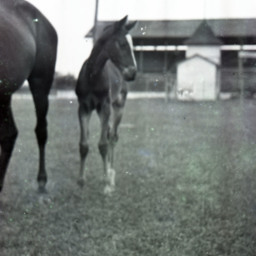 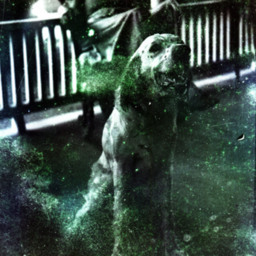 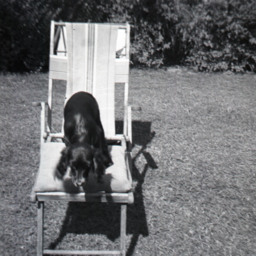 Photograph showing an unidentified dog. 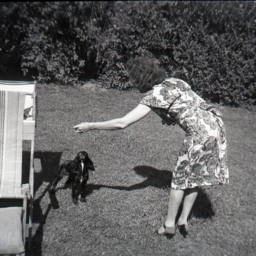 Photograph showing an unidentified woman playing with a dog. 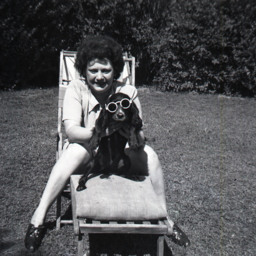 Photograph showing an unidentified woman and dog in a lawn chair. 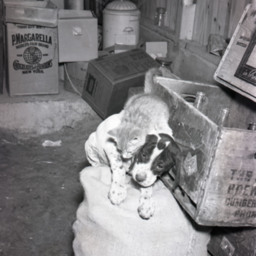 Photograph of a dog and cat playing. 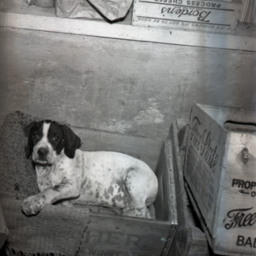 Photograph of a dog in a crate.